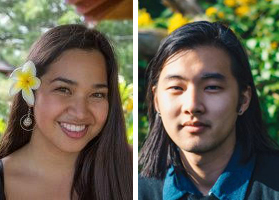 Momi Afelin ’19 and Justin Kim ’19 are recipients of the 2019 Thomas J. Watson Fellowship. 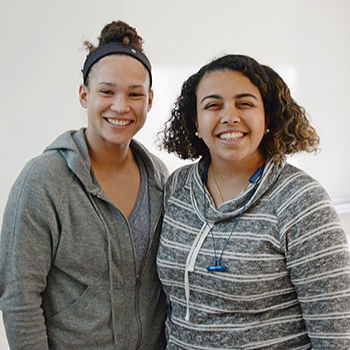 Two Wesleyan seniors will spend a year abroad working on purposeful international discoveries as 2019 Thomas J. Watson Fellows. 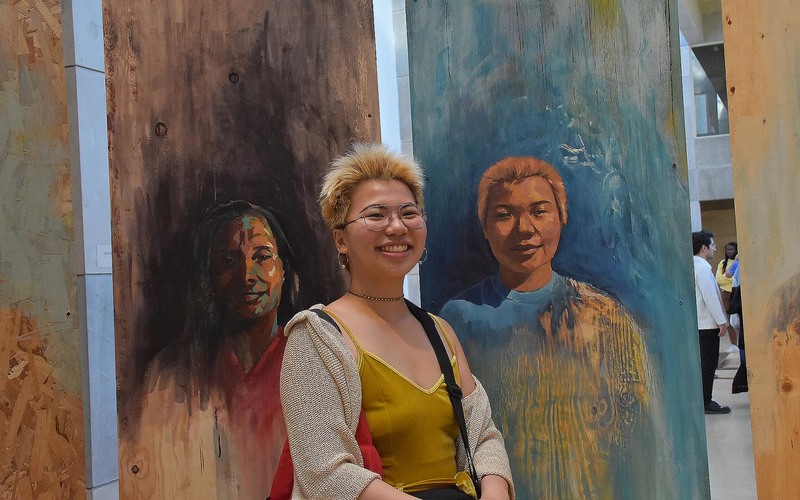 Momi Afelin ’19 and Justin Kim ’19 are among 41 students from 40 partner institutions across the country to receive the prestigious fellowship. The Watson Fellowship is a rare window after college and pre-career for students to engage their deepest interests on a global scale. Fellows conceive original projects, execute them outside of the United States, and gain personal insight, perspective, and confidence. Afelin, a biology and neuroscience and behavior double major, will spend her fellowship year working on a project titled “Island Innovation: Embodiment through Social Entrepreneurship and Innovation.” She will embed herself in five island countries in the Pacific and Caribbean including Samoa, the Solomon Islands, Fiji, Jamaica, and Trinidad and Tobago and observe how geographic isolation and unique social structures of island communities demand innovation for survival and success. Her curiosity in island innovation comes from growing up in Molokai, Hawaii. 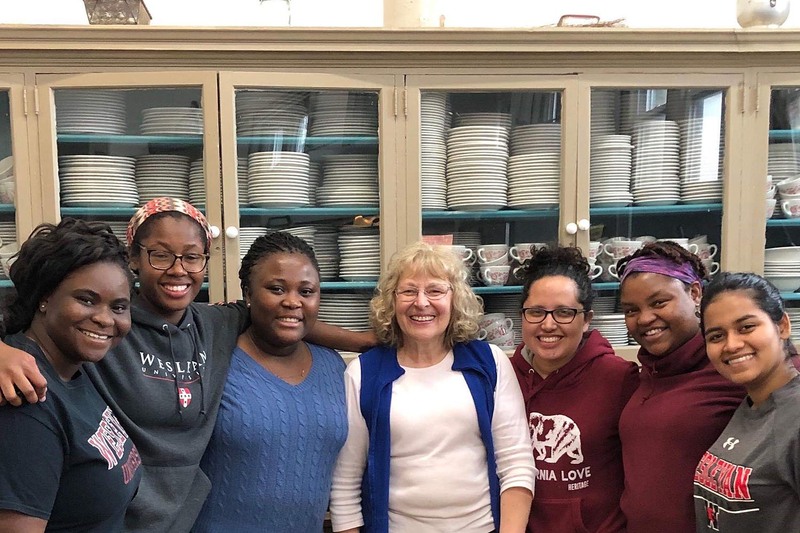 During the Interfaith Service Trip held over spring break, representatives from Wesleyan volunteered at the Manna House Soup Kitchen in Newtown, N.J.
Wesleyan students and staff traveled to Johnsonburg, N.J., March 18-22 to participate in the fourth annual Office of Religious and Spiritual Life Interfaith Service Trip. The group had representation from the Protestant, Catholic, and Muslim communities. The group stayed at the faith-based Johnsonburg Camp and Retreat Center and volunteered their time at the Barnyard Sanctuary in Johnsonburg; Trinity Methodist Church Thrift Shop in Hackettstown, N.J.; and Manna House Soup Kitchen in Newton, N.J.
Wesleyan announced Wednesday that a design submitted by Gabriel Drozdov ’19 has been selected by popular vote as the University’s next monogram. 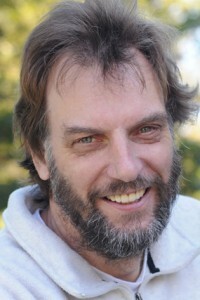 Drozdov’s submission garnered more than 50 percent of the 6,200 votes cast by Wesleyan community members. 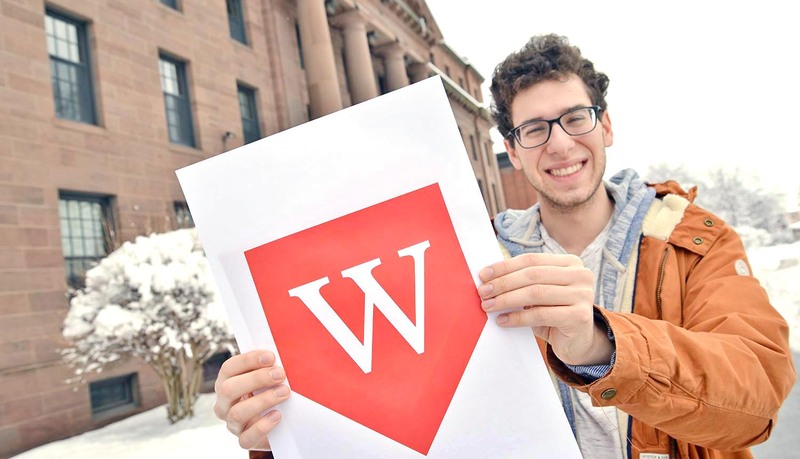 “For the monogram, I personally wanted to reintroduce some of Wesleyan’s old spirit back into a new design,” Drozdov said. 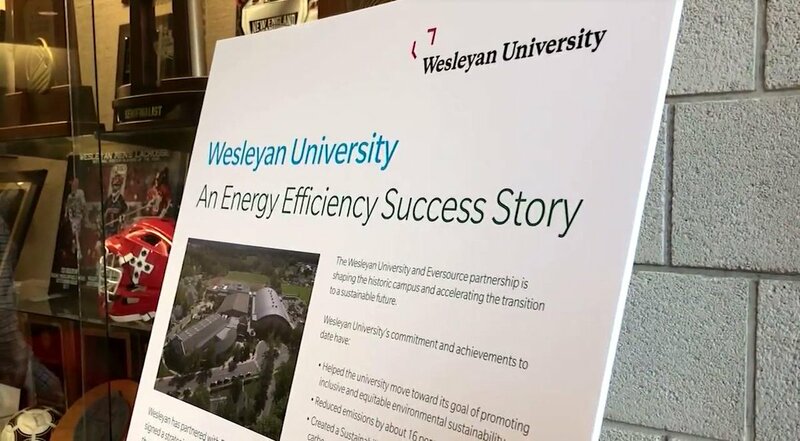 In September of 2018, Wesleyan launched an updated website, featuring new messaging and visual elements. One of those elements was a new monogram that many community members felt did not cohesively represent the University. 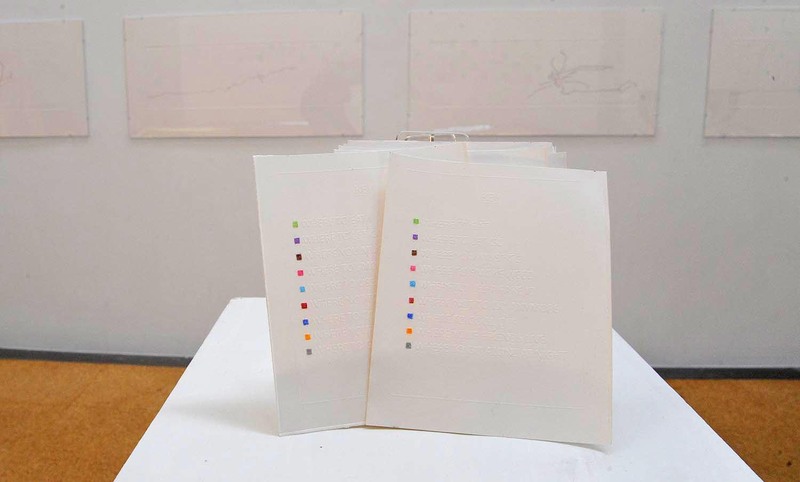 Wesleyan’s administration responded by rolling back the mark, and forming a committee of students, alumni, faculty, and staff to organize a monogram design submission contest and engage the community’s substantial creative abilities and input. 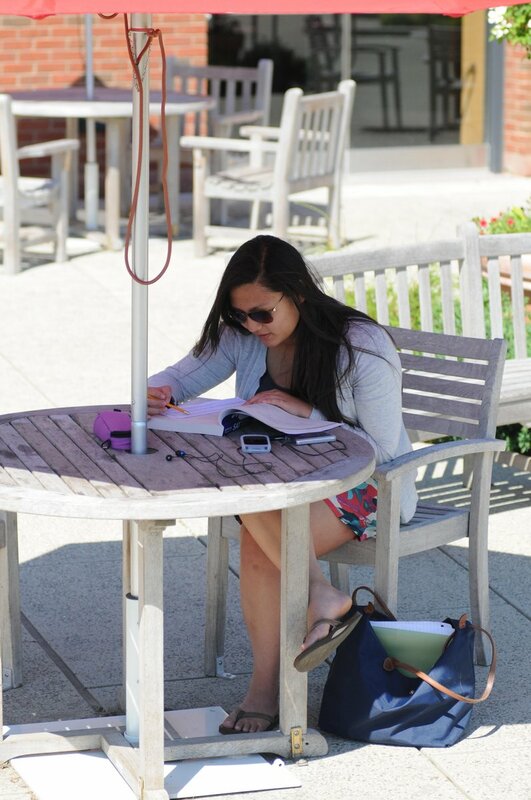 Participants were faced with the design challenge of creating something uniquely Wesleyan—to set it apart from the nearly 200 other colleges and universities that start with the letter W and around 20 with Wesleyan in their names—as well as something flexible enough to work with current and emerging formats like small screens and handheld devices. It also needed to have the potential to work at scale (as on a large banner), while following the existing Wesleyan design standards. Wesleyan’s monogram selection committee members include Jen Carlstrom, manager of design services for University Communications; Aaron Cheung ’19, a member of the Wesleyan Student Assembly; Marcy Herlihy, director of stewardship and donor relations for University Relations; Elijah Huge, associate professor of art; Deb Katz, director of marketing; Gil Skillman, professor of economics and chair of the faculty; former trustee Harold Sogard ’74, P’17, retired president of Hive Advertising; Jonathan Turitz ’86, chief marketing officer of D’Addario & Co.; and trustee Luke Wood ’91, president of Beats by Dr. Dre. The committee narrowed the submissions down to three finalists. 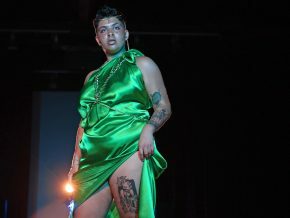 From Feb. 20 to 27, the University hosted an online vote to determine the community’s favorite. 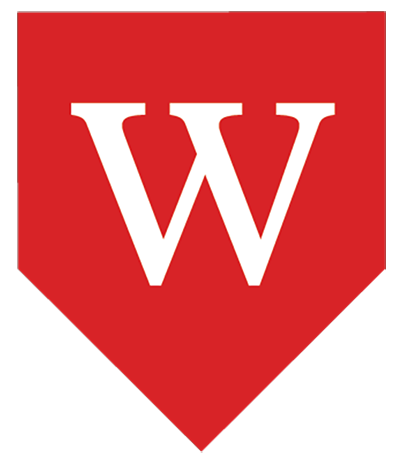 Drozdov’s design of a white “W” on a red shield “was the clear winner,” Katz said, and will be able to be adapted for use with other color palettes as well. Drozdov incorporated the Copernicus typeface to match the serif focus of Wesleyan’s old monogram. He designed an expanded variant of the shield crest to more easily elicit the collegiate tone, “since the full crest is more recognizable as an icon of higher education,” he said. 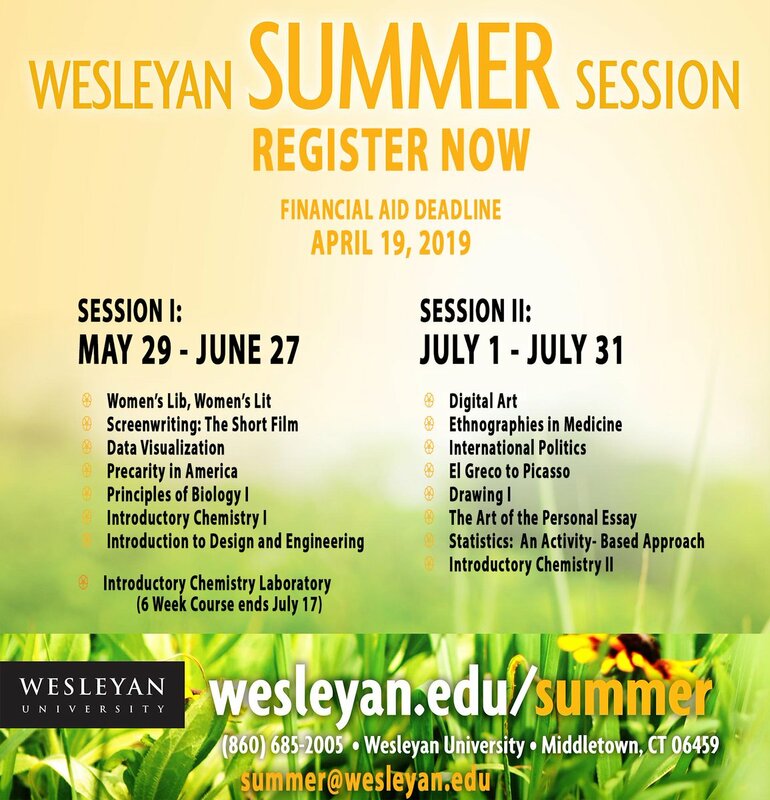 Drozdov also maintained the simplicity of Wesleyan’s redesign by keeping the color palette monochromatic, and improved legibility over the old monogram by increasing line weight. Although Drozdov hasn’t designed a monogram before, he works as a freelance graphic artist, creating designs, websites, and branding guidelines for theater and arts organizations. “After graduation, I’ll probably find a career in graphic design,” he said. For questions or additional information, email ucomm@wesleyan.edu. 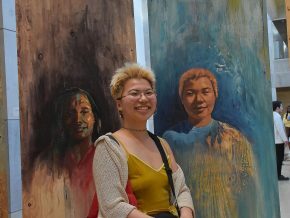 Caridad Cruz ’21 is the recipient of the Sophie and Anne Reed Prize. 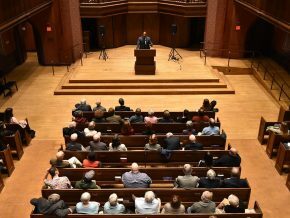 Established by Leon Reed; his sons, S. Chadwick ’41 and Dr. Victor Reed; and his grandson Ted Reed ’70, the prize is named in memory of Sophie Reed and Anne Reed, for the best poem or group of poems. Roy Kilgard and Mark Popinchalk ’13. 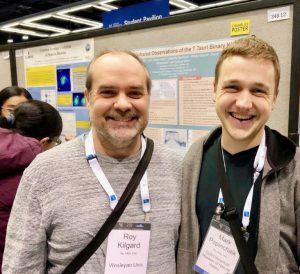 More than 25 Wesleyan affiliates attended the 233rd American Astronomical Society Meeting Jan. 6-10 in Seattle, Wash. All current Wesleyan students who attended presented posters of their research. Campus attendees included: Bill Herbst, the John Monroe Van Vleck Professor of Astronomy and professor, integrative sciences; Roy Kilgard, associate professor of the practice in astronomy and associate professor of the practice, integrative sciences; Michael Henderson ’19; Allison Quintana ’19; graduate student Jessica Klusmeyer; graduate student Ismael Mireles; and graduate student Anthony Santini ’18. 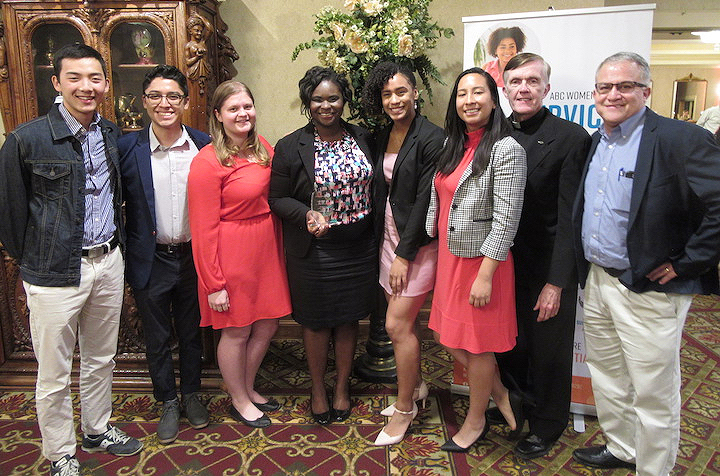 Alumni included Hannah Fritze ’18, Aylin Garcia Soto ’18, Prajwal Niraula MA ’18, Amy Steele MA ’14, Nicole Arulanantham MA ’15, Mark Popinchalk ’13, Marshall Johnson ’11, Anna Williams ’09, Ken Rumstay MA ’77, Taft Armandroff ’82, Phil Choi ’95, Anil Seth ’98, Evan Tingle ’08, MA ’09, Diana Windemuth MA ’13, Trevor Dorn-Wallenstein ’15, Clara Moskowitz ’05, Emily Leiner ’10. 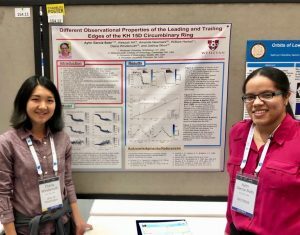 Diana Windemuth MA ’13 and Aylin Garcia Soto ’18. 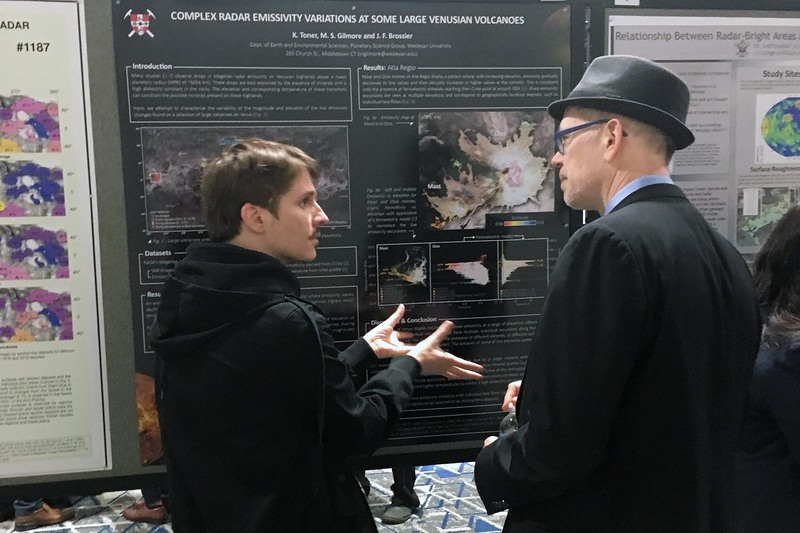 Former graduate student Colin Littlefield, and former post-doctoral researchers Vicki Sarajedini and John Cannon also attended. 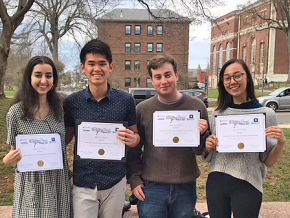 In addition, five college students who participated in the Keck Northeast Astronomy Consortium’s (KNAC) summer Research Experiences for Undergraduate (REU) program at Wesleyan attended the meeting. 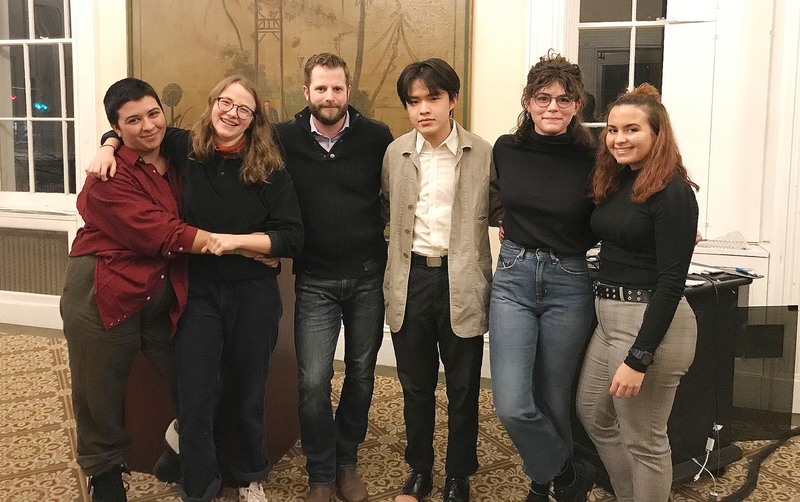 Karina Cooper, Sadie Coffin, Aleezah Ali, Katie Chapman, and Diego Garcia worked at Wesleyan’s observatory last summer and were under the direction of Wesleyan faculty and students. 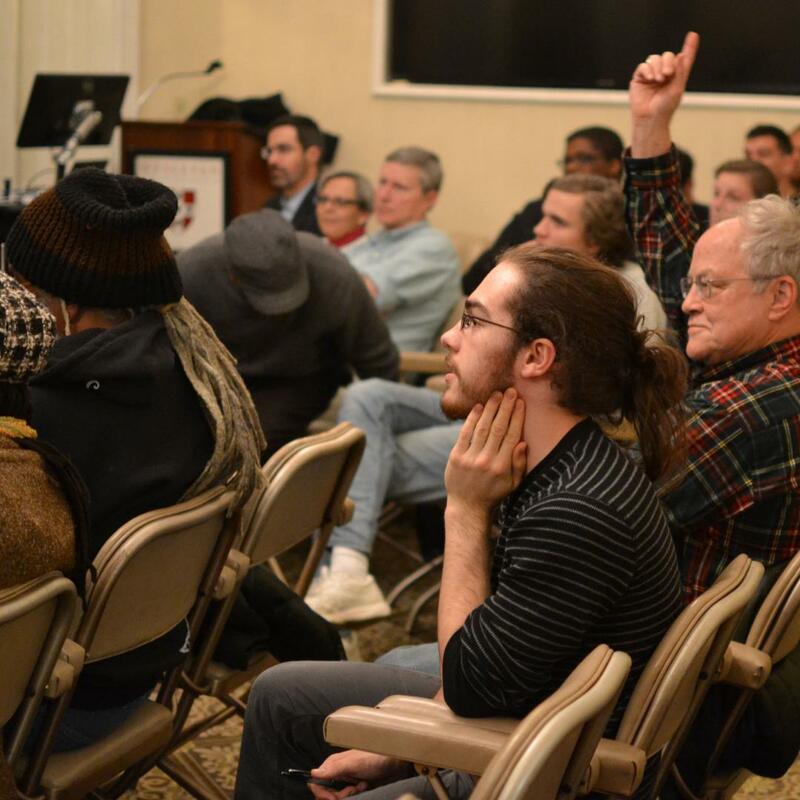 View additional photos of the meeting in this Van Vleck Observatory blog.